Alain Prost proved that a year’s sabbatical had done little to blunt his skills - well, sort of. After qualifying on pole he completely fluffed the start and dropped to fourth - although teammate Damon Hill didn’t stay ahead for long after a spin on the first lap. Prost quickly recovered, passing Michael Schumacher and Ayrton Senna and going on to claim victory in the final South African GP (to date) by almost an entire lap. Senna finished second after Schumacher span out trying to pass him, with Mark Blundell claiming third for Ligier in a race with just five finishers - the other two being Christian Fittipaldi’s Minardi and JJ Lehto, who finished fifth for Sauber on the team’s debut having also qualified an impressive sixth. It was another demonstration of dominance by Williams. 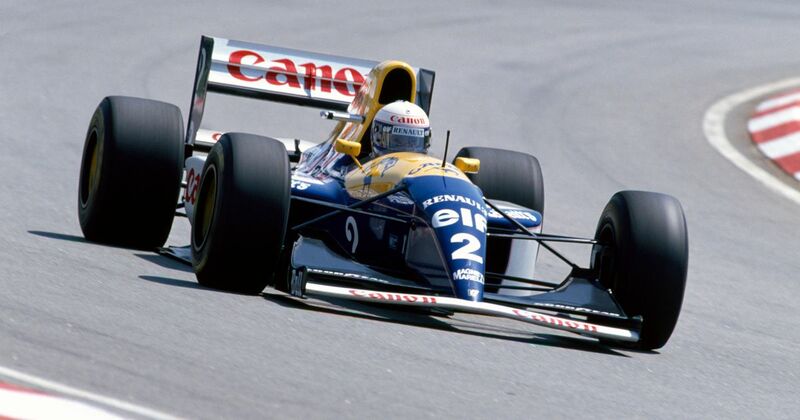 A year after the team and Nigel Mansell had crushed everybody with the almost untouchable FW14B, Prost appeared to be on course to do the same with the new FW15C. The first race of 2010 was exciting for multiple reasons. Refuelling had been banned, three new teams in the form of Lotus, Virgin and HRT joined, making for the biggest grid in 15 years, Felipe Massa was back for his first race after injury, reigning champ Jenson Button debuted for McLaren, Fernando Alonso was starting his first race for Ferrari and Mercedes returned to F1 as a works team for the first time since 1955. Oh yeah, and Michael Schumacher was making a highly-anticipated comeback. Unfortunately, all that excitement was wrapped up in a rather mediocre package. 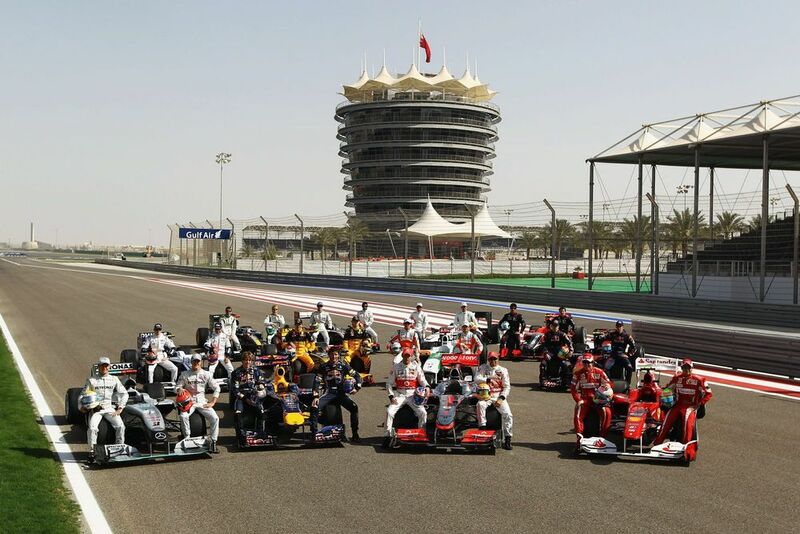 The first race of the season was in Bahrain - not necessarily a bad thing, but to celebrate 60 years of F1, race organisers decided the grand prix would be held on a longer layout, introducing a slow section of corners between turns four and five. The extra section was slow, bumpy, and drivers didn’t like it. It also spread out the field dramatically, making for a rather uninteresting race. Sebastien Vettel was on course for a comfortable win until a small engine issue dropped him to fourth, opening the door for Fernando Alonso to become the fifth driver to win in his first race for Ferrari, joining Kimi Raikkonen (2007), Nigel Mansell (1989), Mario Andretti (1971) and Juan Manuel Fangio (1956). Giancarlo Baghetti also won his first race in a Ferrari in 1961, but not in a car that was actually entered by Ferrari. 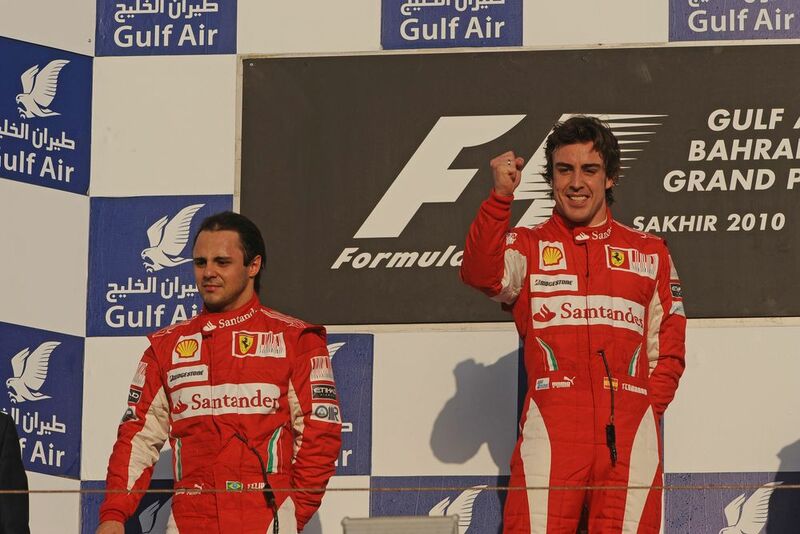 Massa made it a Ferrari one-two in an impressive return to racing, with Lewis Hamilton completing the podium. Schumacher finished sixth, Button seventh, and of the new teams only Heikki Kovalainen’s Lotus reached the finish - a lap behind the rest of the field. Thankfully the experiment with the longer layout wasn’t repeated and the race remains a small curio of F1 history.